Shortleaf pine is a native species of pine once widespread across the Southeast. Over the past 30 years, this native pine has declined significantly over its range because of massive infestation by invasive pine beetles, changes in timber management, and land use patterns. 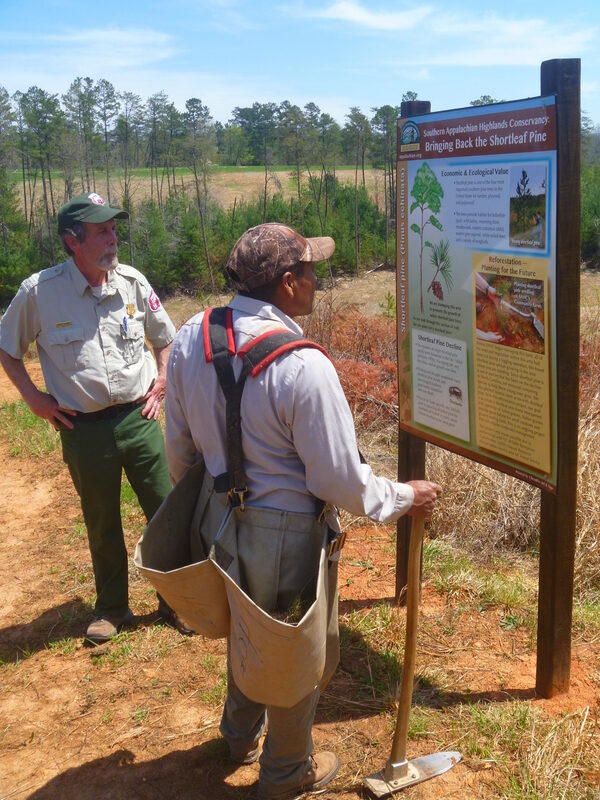 Benefits of shortleaf pine include aesthetics and wildlife habitat. Shortleaf grows more slowly and takes longer to mature than loblolly pine; however, this slower growth leads to a straighter, more robust tree with finer grain – creating an appealing timber product. 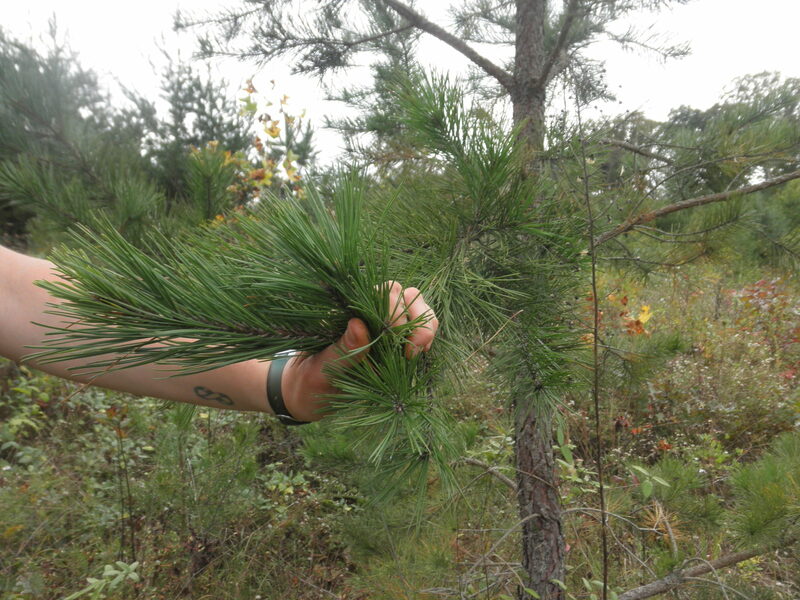 With a lifespan approaching 200 years, shortleaf pine can grow up to 100 feet tall and 3 feet in diameter. Shortleaf pine stands are also excellent for wildlife habitat. Unlike loblolly, which grows quickly and forms a dense, closed canopy, the shortleaf pine has a more open canopy that supports multiple levels of habitat for a variety of species. Increased browse and mast production (food sources) and nesting cover are some of the benefits of shortleaf, whose open canopy allows for lush growth of grasses and forbs beneath. 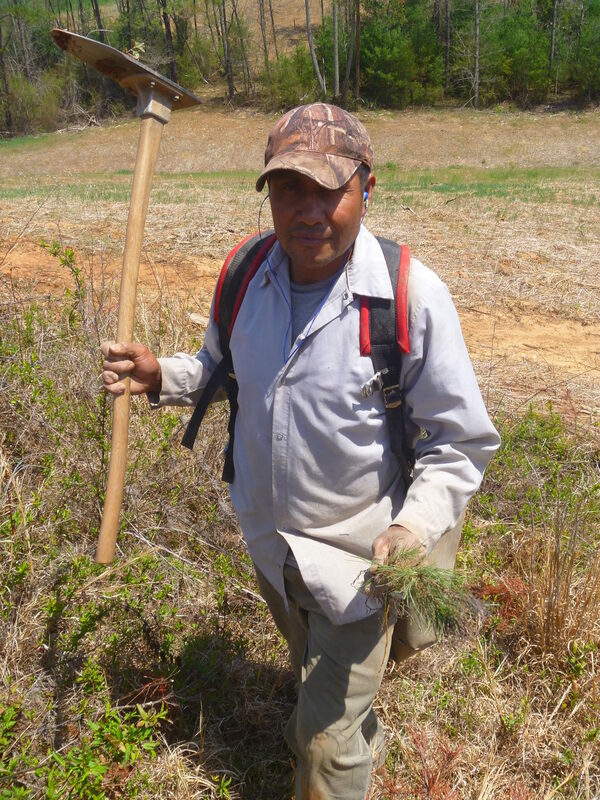 Our goal with this reforestation project is to create a shortleaf pine forest interspersed with openings of native grasses, which will provide habitat for native wildlife. 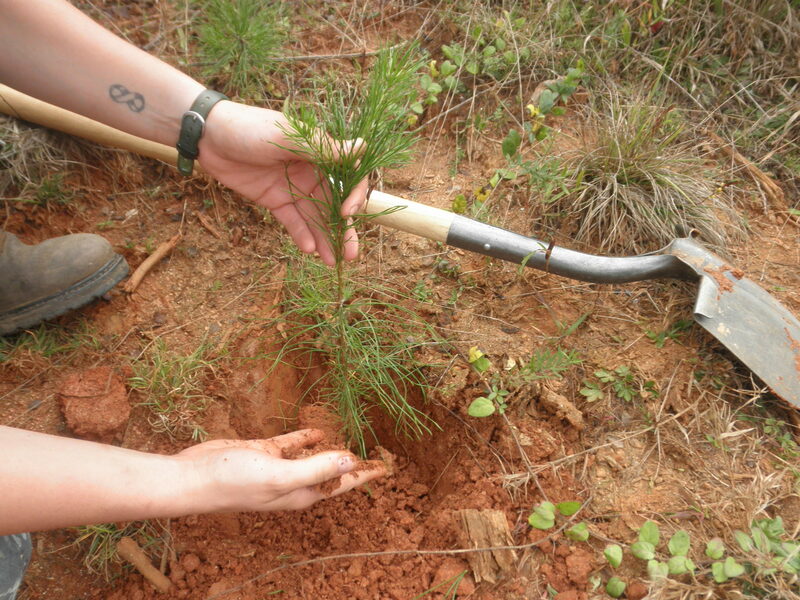 We planted over 2,500 shortleaf pine seedlings, and they have been thriving. We will continue managing the area for successful forest growth.